During June I attended a STEM conference in Sydney. 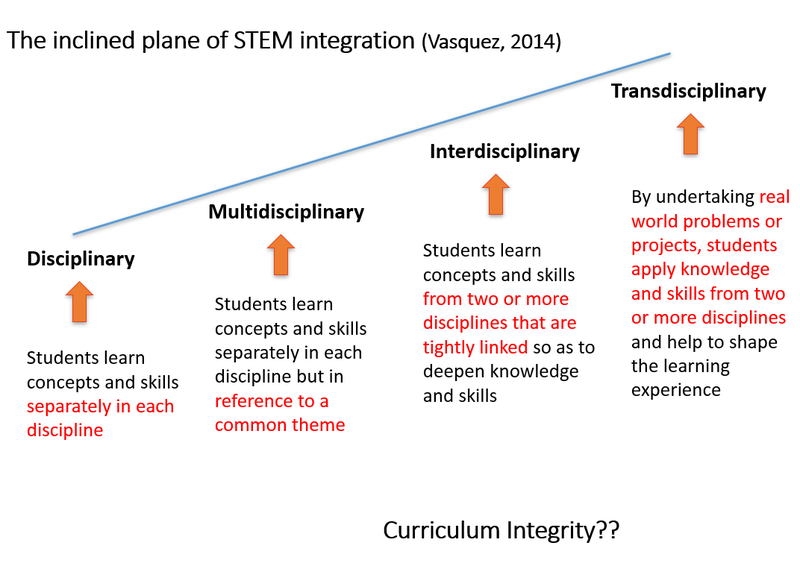 One of the presenters used this graphic (small picture at top left) to describe the range of ways that discipline-based sets knowledge and skills can be integrated. It’s a good graphic and summarises the approaches that are taken. 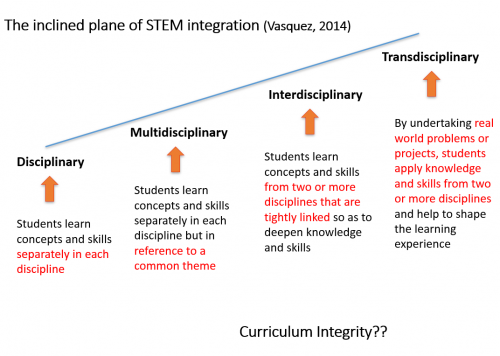 However, I think there may be a different approach which goes beyond the integration types shown. 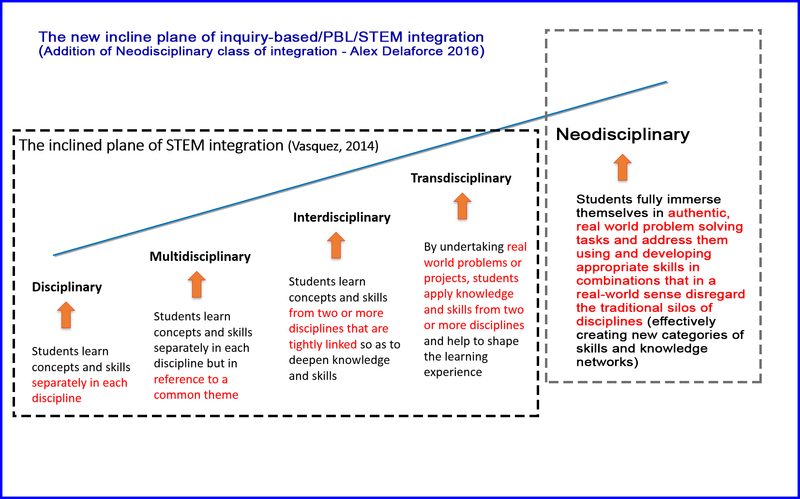 I also believe that you can exchange the word ‘STEM’ for Problem-Based Learning or Inquiry-Based Learning. The new approach is what I will call Neodisciplinary (or Extradisciplinary if you are less of a rebel). 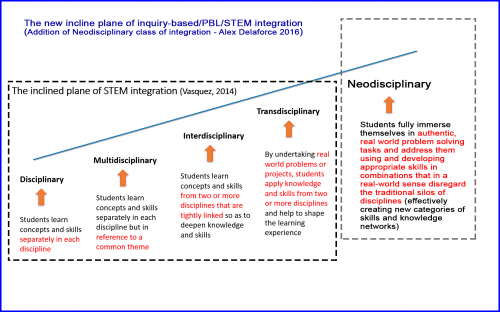 Neodisciplinary – definition: Where authentic, real world problems are addressed by using appropriate skills in combinations that, in a real-world sense, disregard the traditional silos of disciplines (effectively creating new categories of skills and knowledge networks). I think it will catch on. If it does, remember where you saw it first!